In this fully up-to-date volume, important new developments and applications of discrete element modelling are highlighted and brought together for presentation at the First International UDEC/3DEC Symposium. * dynamic behaviour of discrete structures. 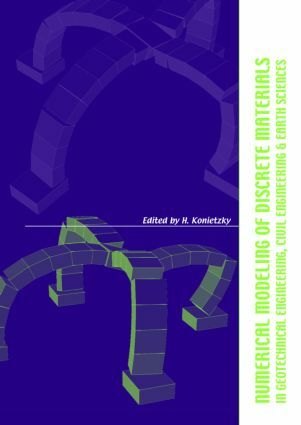 Numerical Modelling of Discrete Materials in Geotechnical Engineering, Civil Engineering, and Earth Sciences provides an ultra-modern, in-depth analysis of discrete element modelling in a range of different fields, thus proving valuable reading for civil, mining, and geotechnical engineers, as well as other interested professionals.